I love Spring Training. It’s a time of hope; a time of wondering and talking. Everyone has the same record this time of year. Everyone has the same dream: The World Series. Astros fans have a lot of questions after this offseason: How will our suspect rotation hold up? Who will man third base? Who will be the catcher? I’ve made my predictions in other areas. This entry won’t be used for that. Instead, I’d like to turn my attention elsewhere. 56 players reported to the Astros’ Spring Training facilities. 28 pitchers and 28 position players. And one question on everyone’s mind, especially after hearing so much about our horrible farm system is: What new faces can we expect to see this year? What can we expect of them? Alberto Arias – The Astros claimed Arias off of waivers from the Rockies last season, on July 31. 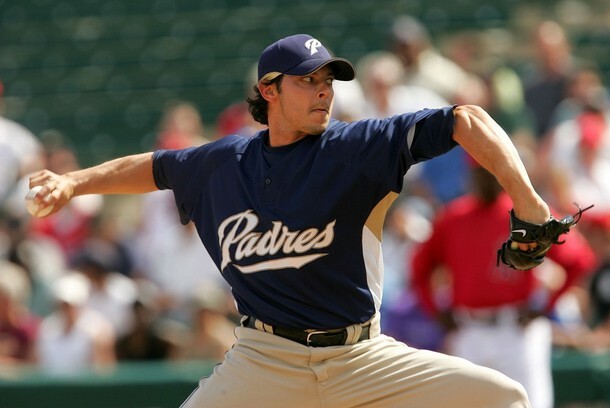 He pitched at Round Rock and, for three games (including 2 starts), in Houston at the major league level. He didn’t respond terribly well in his limited time, but such a small sample size (8.0 IP) could easily be ignored. He will be 25 years old this year and has only thrown 29.0 big league innings. He has nice minor league numbers, and projects well to Minute Maid Park, with about 55% of balls hit off of him being hit on the ground. Projection: Could spend some time in the big league bullpen, or pressed into service as a starter. Look for about 50 innings from Arias, but nothing mind-blowing. 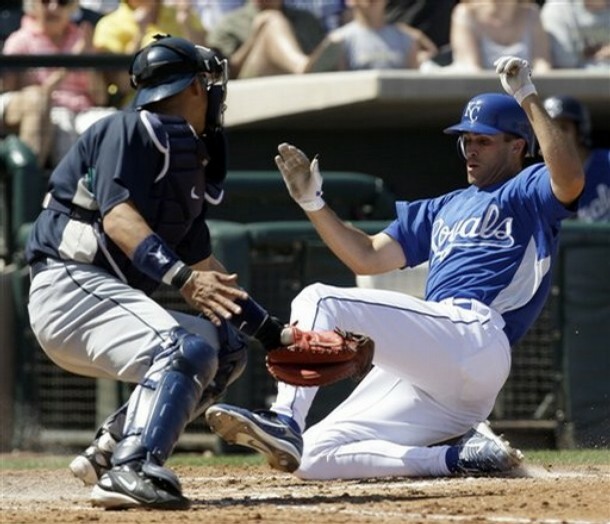 Jeff Fulchino – The Astros claimed Fulchino off of waivers from the Royals on December 8. He’s only thrown 14.1 big league innings, fourteen of which came last season with the Royals (the other third of an inning was in 2006 with the Marlins). He hasn’t excelled at any level since the 43 innings he threw for the Jupiter Hammerheads of the Florida State League in 2004. I don’t like his chances to make the big league club, and if he does we may well be in trouble. Projection: The chances are good that Fulchino will get pressed into service at some point this season, but don’t look for anything more than 20 innings or so as an injury callup. 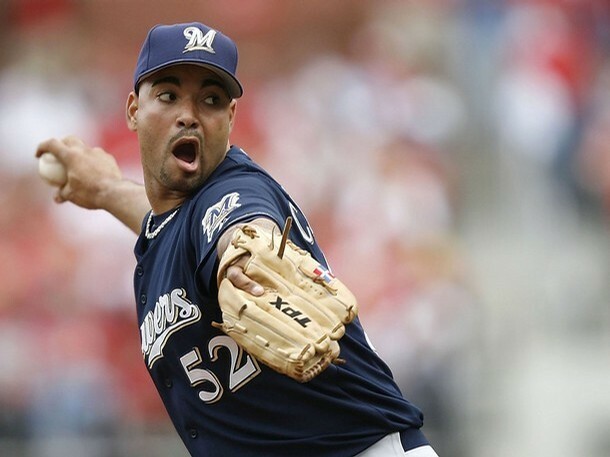 Jose Capellan – Astros fans will remember Capellan for his time in the Milwaukee Brewers’ bullpen, though he last pitched for the Rockies in 2008. Though he hasn’t started in the majors since 2 games in 2004 with Atlanta, he will be allowed to compete for a starting rotation spot in Houston. His time in the minors has been split between the bullpen and the rotation, with decent results. Over the past three seasons, he’s thrown 91.2 innings in the minors with a 1.26 WHIP, 7-4 record, 4 saves, and a 4.12 ERA. Over the same time, he’s thrown 99.2 less impressive innings in the majors with a 1.36 WHIP, 4-5 record, 80 strikeouts to 40 walks, and a 4.69 ERA. Projection: The hope is always that a little stability will help a player who’s been moved around. In the past three season, Capellan has pitched for the Brewers, Tigers, and Rockies, not to mention five minor league teams among those three systems, along with the Royals organization. That’s not likely to change, though, as he looks like he’ll go between Round Rock and Houston frequently. Look for 60-70 innings in the big leagues, with an ERA in the 4.50-5.00 range. Danny Graves – Most Astros fans will remember Danny from his time in Cincinnati from 1997-2005, most of it as their closer while he moved to #50 on the all-time saves list. He has bounced around since then, and hasn’t pitched in the majors since 2006, when he threw just 14.0 relief innings with the Cleveland Indians. He hasn’t had an ERA under 4 since 2004. 2008 was a forgettable year spent in the Minnesota Twins’ organization, most of it with the AAA Rochester Red Wings. He went 4-6 there, with an ERA of 6.30, WHIP of 1.70, and just 32 strikeouts in 84.1 innings. Projection: I don’t expect Graves to break through to the Major League level at all this year. He has not shown that he can consistently be counted on as a pitcher at the big league level. n his second season back from injury. 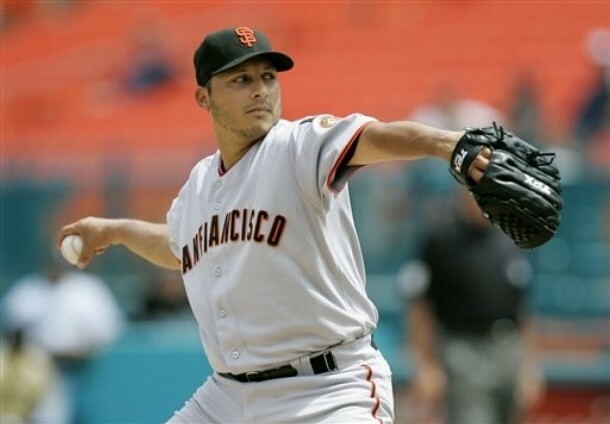 Russ Ortiz – Ortiz is a fresh face in Houston after missing the 2008 season recovering from Tommy John surgery. 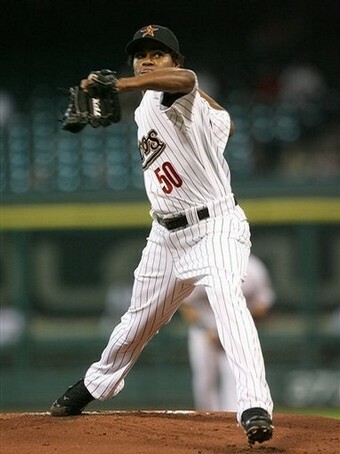 For his major league career, he is 110-82 with a 4.42 ERA, 1.479 WHIP, and 1,121 strikeouts in 1568.2 innings pitched. Since 2005, he hasn’t thrown more than 115 innings in a season, and hasn’t had an ERA under 4 since 2003, when he went 21-7 and finished 4th in the Cy Young voting (pay close attention to the year.) Projection: I don’t expect Ortiz to shake the injury bug completely, but do expect him to crack the major league roster for somewhere in the vicinity of 60 IP. Aaron Boone – Boone’s most productive years came between 1997-2003 with the Reds, but his most memorable moment in Game 7 of the 2003 ALCS, when he hit the game-winning home run for the Yankees off of Tim Wakefield and the Red Sox. Since then, he has bounced between the Indians, Marlins, and Nationals. Boone is still a major league commodity. He plays all infield positions, and though he’s been inconsistent, he does still show flashes at the plate and in the field. Projection: There’s no doubt Boone will get some starts at third this year, and probably at second and first, as well. He should hit in the .250 range, with 5 or 6 home runs in 175 or so plate appearances. Jason Michaels – Michaels came to Houston after 8 seasons between Philadelphia, Cleveland, and Pittsburgh. He’s a career .271 hitter (.345 OBP) with the ability to play all three outfield positions. Not a standout, but a very good player to have on the bench, and an upgrade when Michael Bourn doesn’t pan out. Projection: 200 plate appearances with a .260 batting average and 5 home runs. Will be used, along with Erstad, to spell the outfield starters and provide a defensive replacement in left field late in games. 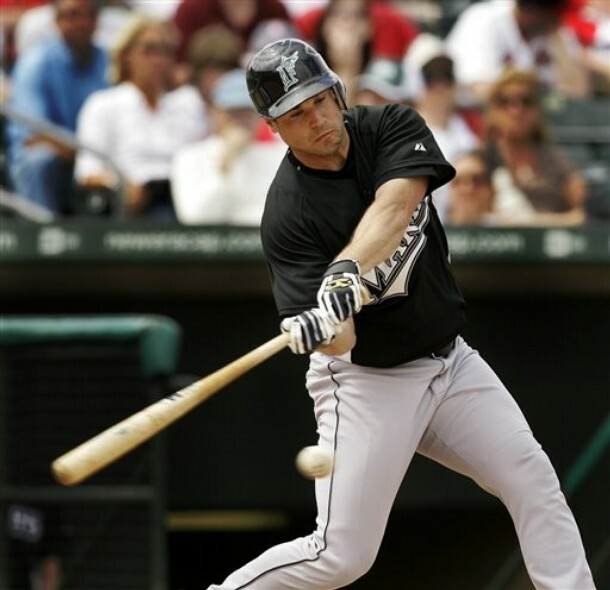 Toby Hall – Formerly the starting catcher of the Tampa Bay Devil Rays, Hall has spent the last three seasons between the Rays, White Sox, and Dodgers. Coming into the 2009 season, the Astros were looking for a veteran presence behind the plate to help out their youngsters – Palmisano, Castro, Towles, Quintero – at least through Spring Training. The news that he has shoulder soreness hasn’t helped his already-weak case to make the team. Projection: Hall will probably start the season at AAA Round Rock, but uncertainty with the youngsters will virtually guarantee a lot of movement at the catcher position. He should pick up about 120 plate appearances, hit about .238 with a home run or two. Don’t expect too much. John Gall – Gall has failed to blow anyone away in his few major league appearances, but hasn’t had much of an opportunity to shine. Between 2005-2007, he’s had just 53 at-bats with the Marlins and Cardinals. However, in his minor league career, he’s gone .298 (.356 OBP) with 115 home runs in over 3,700 at-bats over 9 seasons, mostly in the St. Louis organization. He plays the corners, both in the oufield and the infield. Projection: I don’t know if Gall will play in the majors this season, but it certainly wouldn’t surprise me, if only because of his defensive versatility – anyone who can play third base should get a chance to ply his trade in Houston this year. Gall has shown a lot of promise in the minors, and deserves a chance to spend some time in the majors. I think he will get at least 50 plate appearances this season. Matt Kata – Since 2005, Matt Kata has spent time with the Diamondbacks, Reds, Pirates, Phillies, and Rangers organizations, though very little of that time was spent in the majors. None in 2008. He’s a versatile utility man who could be called on in a pinch – he plays all positions but pitcher and catcher and has a .242 career batting average in the majors. Projections: I don’t expect Kata to break into the majors this year, as the Astros have two utilitymen in Geoff Blum and David Newhan who are significantly better Matt Katas than Matt Kata is. backs, and Royals. Not a terrific fielder (3.23 RFg, .968 F%), not a terrific hitter (.221/.259/.286), not a terrific anything. The quintessential no-tool player. Projection: If Smith plays at the major league level, the Astros are in serious trouble. I don’t expect this to happen. Next up, in addition to the new faces are the young faces: Guys like Bud Norris, Sergio Perez, and Chris Johnson who have come up through the Astros’ system.